The year is almost over and rather than reflect on my 2013 highlights, I want to give something back to the community of food writers that inspire me. I want know which recipe inspired you the most this year. Inspiration comes in many forms, perhaps it was a healthier choice, or a home cooked meal instead of ordering in. Whatever it was, I want to hear about it. Error! Nominations have closed. You can find the 13 finalists here. 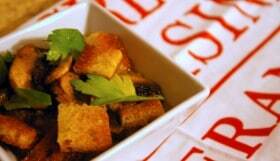 Over the next ten days, I’m giving you the chance to nominate your favorite main dish of 2013. 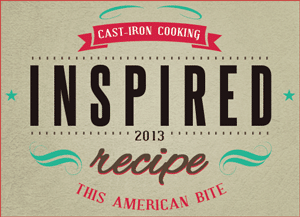 You can nominate any blogger’s recipe as long as it went live during 2013 and you have until December 28, 2013 to do so. After the nominations are in, I’ll choose 13 of the best recipes and unveil them to you so you can vote for YOUR favorite. My friends at Le Creuset are kindly sponsoring this celebration of food and the author of the most popular recipe writer will win a 5.5 qt round french oven worth $275. 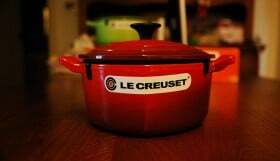 YOU get to choose who wins this awesome Le Creuset dutch oven because your votes will determine the winner! If you’ve ever wanted to thank your favorite food writer for their recipes and inspiration, this is a great way to do it. Use the form below to follow Le Creuset and I on Facebook and Twitter and nominate your favorite recipe. (Don’t pick one of my recipes — pick a recipe from another food blog that you read). If you have your own blog self nomination is welcome! Please keep it to one submission though. 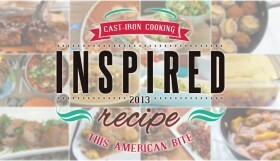 If you have been nominated for this prize, grab this badge and link to this post and promote your most inspired recipe. All nominations and submissions must be main dishes (no soups, sides or sweets, sorry!) and the post must have been posted for in the 2013 calendar year. 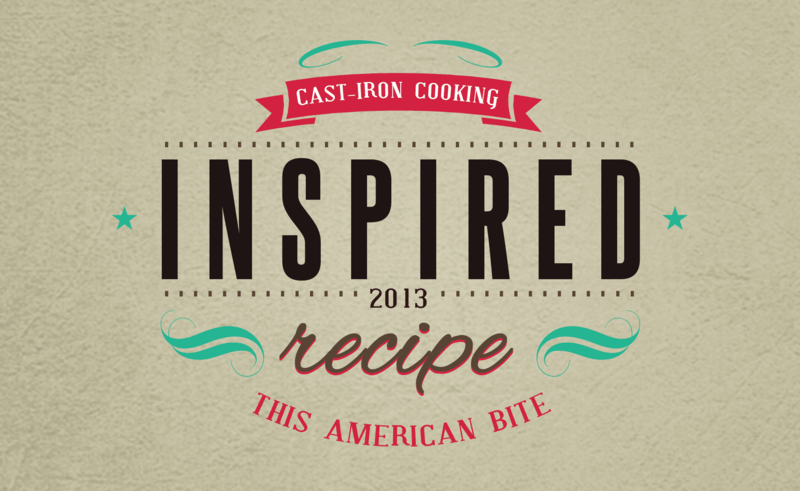 Use the entry form below to nominate your favorite recipes. Good luck everyone! If you have any questions about how this all works, leave a question in the comments below and I’ll be sure to reply to you.